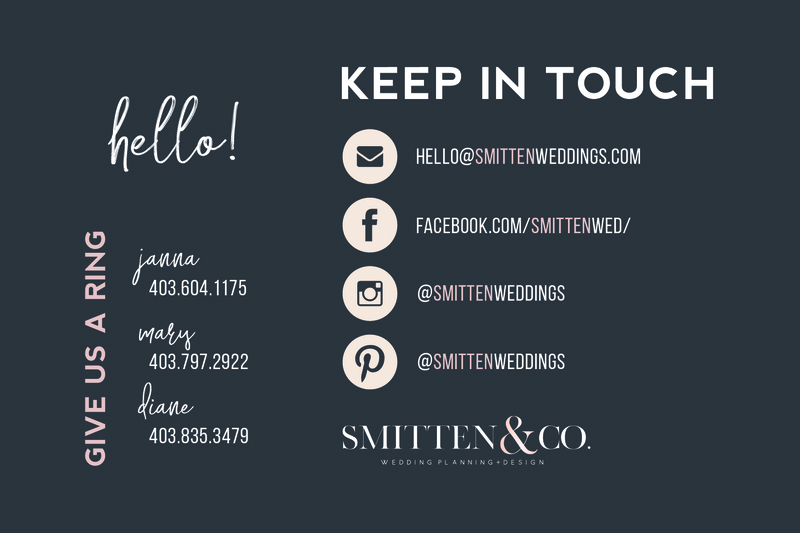 Smitten was born from a fantastic co-lab between two extraordinary wedding planners, Mary and Janna. 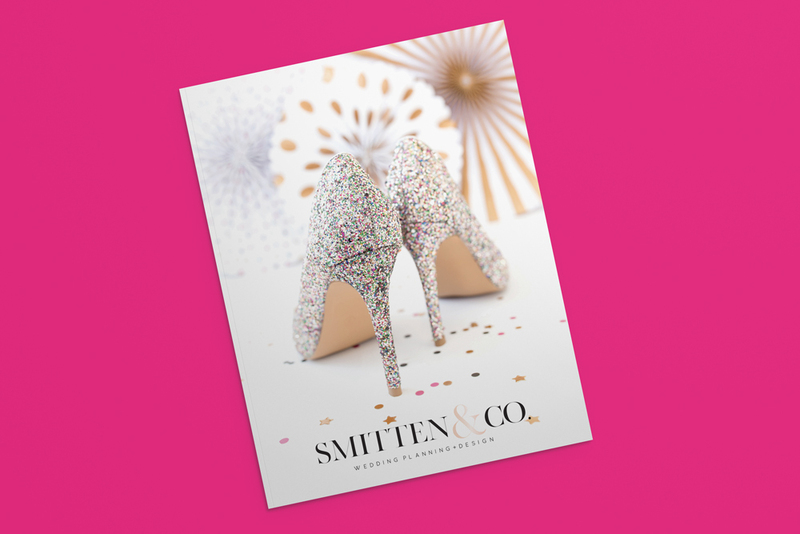 Their experience is legendary in the industry so I was ‘smitten’ with helping them co-brand :) We went elegant and clean, but always with a touch of sparkle. 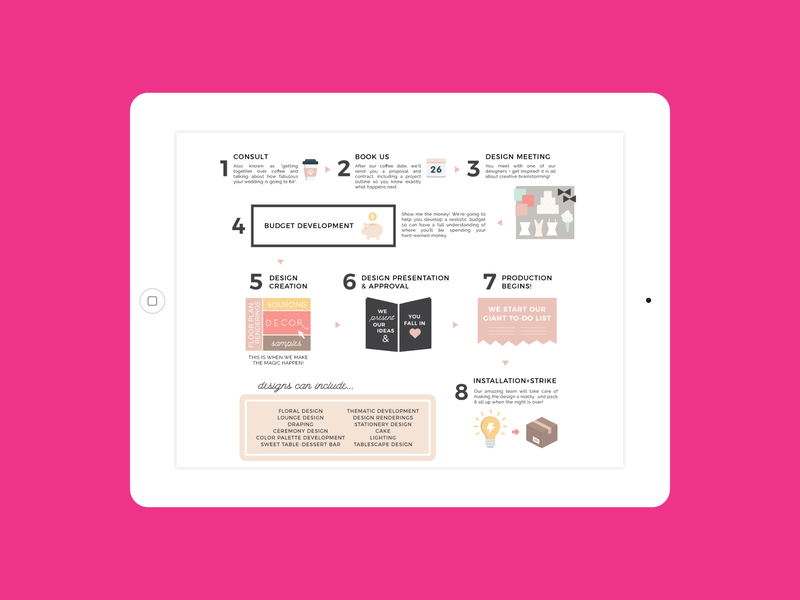 I’ve assisted with the brand as well as print materials, their wedding package magazine and process infographics. Their work is incredible and flawless, I adore working with them on any project.